Nothing can protect your home, family, and valuables like a home security system, but that doesn’t mean there aren’t a few other things you can do to discourage thieves from taking off with your stuff. Here are 4 easy-to-follow tips that will keep your valuables safe, even if a burglar does find his way into your home. Don’t advertise your most valuable items by placing them in full view of the windows. This is a fairly simple tip to understand, but it’s one that is not so simple to follow. That’s because it may require you to adjust the arrangement of your furniture. Large flat screen TVs shouldn’t be placed opposite the window. Instead, place them on a wall perpendicular to the window. Expensive paintings would do best hung in interior hallways or bedrooms, because there aren’t likely any windows in the hallway and bedroom blinds are rarely opened. Keep expensive technology, like laptops and professional cameras, tucked away unless they’re being used. No matter how hard you try, something in your home is likely to look enticing to potential burglars that walk by your home. Prevent them from looking inside your home in the first place by opening the curtains during the day when no interior lights are needed. In the evening, shut the windows. It’s nearly impossible to see in a window when interior lights are off, but every detail is highlighted if the lights are on and the windows are left open. Unfortunately, the person who burglarizes your house probably isn’t a stranger. With repeated access to the exterior or interior of your home, a thief can easily pinpoint areas of your house that are likely to hide valuable items. They are likely to check under the mattress, in dresser drawers, and believe it or not, but the freezer, because it is also a fairly common hiding place. You’re going to have to get sneakier. Consider hiding cash or other small items in the pocket of an old, ragged coat in the back of a closet. Most thieves aren’t interested in stealing clothes. You could hide items in an air vent or inside a light fixture. You can also hide things in empty bottles and containers that look like other things, like old bathroom cleaner cans, liquor bottles, and even water bottles in the cabinet. 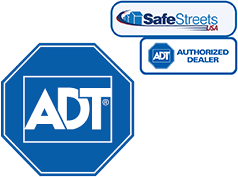 Of course, if you really want to keep your belongings secure, consider purchasing a safe. Not only can they hide valuables like jewelry, coins, and cash, they can also keep spare keys, social security cards, and more safe from sticky fingers. Even if you do your best to hide items, if you experience a burglary, some things are likely to go missing. It’s important to file a police report, but even if the thief is caught, it’s likely that he’s already sold some or all of your belongings. Unfortunately, many people who have been burglarized never see their valuables again. If you want to increase the chance of recovering your items, mark them with your driver’s license number. It’s best to engrave the number so that it cannot be removed. This method is best when it comes to expensive electronics, like computers, video equipment, and video game consoles, and recreational equipment, like bicycles. If anything is ever stolen from your home, it can be extremely helpful to have a documented image of each item so it can be returned to you quickly. Not only will quality images make the police’s job easier, they are also important when it comes to making an insurance claim. Walk through each room taking pictures of everything inside. Remove hidden items and take pictures of them too. If you really want to make documenting your belongings easy, consider walking through each room with a video recorder instead. The best way to protect your home from a burglar is to combine multiple methods. If you are interested in pairing these tips with high-tech protection, spend a little time browsing the best home security systems on the market today. Even one single camera can help protect your property! I like the idea of marking all of my valuables. It certainly will make finding the items if they are stolen much easier. However, it is also a good idea to keep that you can in a floor safe in an unexpected part of your house. It will make it harder to find the safe, and even if it is found, the thieves won’t be able to take it with them.